A minimalistic music player, designed for simplicity. 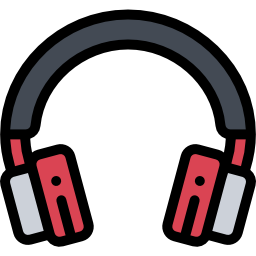 Built on electron, uses Howler for handling music playback, AngularJS and Bootstrap for the frontend, and jsmediatags to retrieve the ID3 tags. This can also serve as a starting point to impliment your own front-end/UI to the Player. Download the build for your OS. Start the application and and then click on the Folders tab on the top left corner, this will bring up a window where you can select the folder where you want to play your mp3 files from. Once you select a folder with songs, just click play. Clone the repository, then navigate to it on your terminal and run npm install, once all the dependencies have finished downloading, run npm start to test it, and npm run dist to build it for your platform. Supports: mp3, opus, ogg, wav, aac, m4a and webm. Quickly switch tracks in the same folder, from the playlist button. When you open the app, it starts playing music from the directory that you last played music from. This means that you can skip having to select a directory when you open the app. Changed the name to Dusk Player, Music player was too generic. You can now play tracks on shuffle. New location and style for the playlist.